For homeowners looking to increase the energy efficiency of their home's appliances, the furnace is a natural place to start. Research shows that heating and cooling can account for up to 48 percent of the energy bill in the average home, so investing in an energy-efficient model can reduce those expenses dramatically. To find an energy-efficient furnace, you should keep the following search criteria in mind as you begin considering options for your new appliance. Energy efficiency is a popular buzzword in today's market, but not all so-called energy-efficient models are created equal. 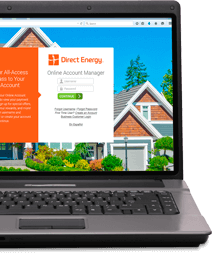 Energy efficiency is best determined by the furnace's Annual Fuel Utilization Efficiency (AFUE), which refers to the rate of fuel that is effectively transformed into energy. ENERGY STAR models earn the stamp for energy efficiency by having a AFUE rate of 95 percent or above. you should look for a model with similar statistics. When searching for a furnace with a high AFUE, focus the search on electric models. Since these don't require a flue, they eliminate the potential for lost heat. 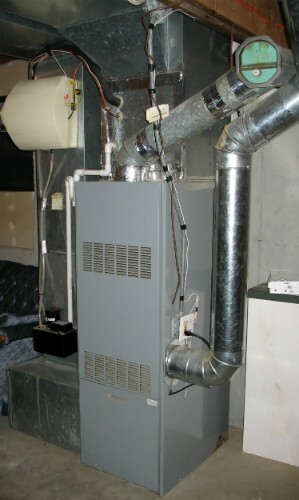 An inefficient fan motor will diminish an otherwise efficient furnace by sapping unnecessary electricity. Look for models that run on direct current (DC) or feature an electronically commutated motor, as opposed to an alternating current (AC) motor. When it comes to furnaces, bigger is not always better. You should consult with a trusted HVAC professional about the size of your home and the area you need to heat. These measurements will help you purchase an appropriately sized unit, which prevents wasted energy and the inefficiency that comes from owning a model too large for your home. Owning a furnace with additional options is one of the keys to energy efficiency. Furnaces that feature two-stage or multi-stage burners can be adjusted to burn at the rate and temperature appropriate for your home's square footage, as opposed to one-rate units that can't be customized. Research shows multi-stage furnaces can be as much as 5-8 percent more energy efficient than single-stage burners, creating savings that can add up throughout the season. The right thermostat can lead to significant energy savings, but it shouldn't be tasked with cutting energy usage all by itself. Adding a programmable or smart thermostat to the home's heating plan is an easy way to maintain efficient energy usage. Smart thermostats can be programmed days, weeks, or months in advance, allowing you to set specific temperatures for any moment of the day. This ensure that the home is not unnecessarily heated during periods when no one is home, saving energy.